Vivienne McKone began dancing at the age of two and worked as a child on commercials for UK and US television, on stage in Thomas Kingsley’s “The Water Babies” in the West End, and with Anita Harris and Tony Bennett in the ‘Anita Harris in Jumbleland’ television series – dancing, singing and acting. After early training in jazz and tap dancing, as a pre-teen, she appeared as ‘Velma’, the solo dancer, in Alan Parker’s film “Bugsy Malone” in 1976. Vivienne regularly appeared on television, in theatre and in films until 1992, when her career in music took off. Her first album, “Vivienne McKone”, was produced by Stewart Levine, highly-regarded for his work with The Crusaders, Randy Crawford and Simply Red. Vivienne’s debut single, “Sing (Ooh-Ee-Ooh)”, reached #47 in the UK charts on 25 July 1992 and was used as the theme for BBC TV’s Travel Show from 1994-1997. The followup, “Beware”, reached #69 in the UK charts on October 31st, 1992. A series of recordings and ‘live’ gigs kept Vivienne busy for the next 10 years or so until she decided to take a break from music while setting up a new home. Vivienne started working with Mike Collins in 2011, establishing a song-writing partnership while contemplating a return to ‘live’ performance. The first fruits of their creative collaboration are two dynamic new mixes of Vivienne’s song “Everything Is Gonna Be Alright” featuring Mike on guitar and Gary Barnacle on sax. 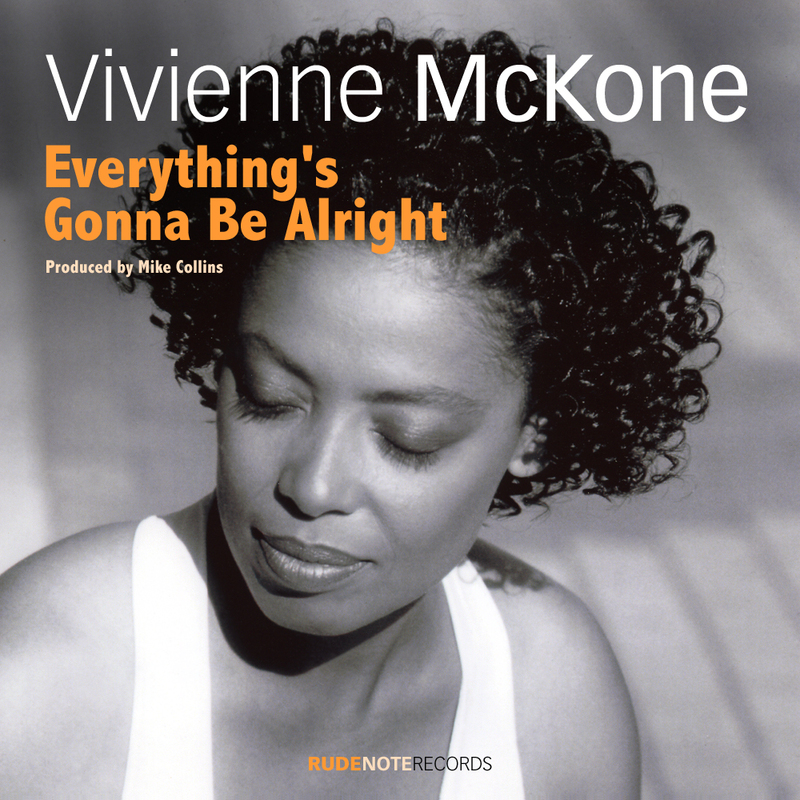 An earlier version of this song, titled “Everything’s Gonna Be Alright”, was previously released in September 2009 on a Dome Records compilation, ‘Soul Lounge – Sixth Edition’. If you like a smooth melody, a soulful vocalist and a funky groove, this song, written by Vivienne McKone, has it all! Vivienne’s cool vocal delivery floats over the mid-tempo groove, with wah wah guitar licks driving the beats throughout the track and a jazz-influenced guitar solo from producer Mike Collins taking it to the fadeout. The ‘icing on the cake’ here is Gary Barnacle’s funky saxophone, sneaking in on the Wah guitar mix, and taking over on the Funky Sax mix!